Once you subscribe to Rocky Mountain Spam Filtering, you must set up your email program to deal with incoming filtered spam. Add a single rule to your email program that states simply to move any email who's subject line begins with "SPAM (" to the trash (do not include the quotation marks). 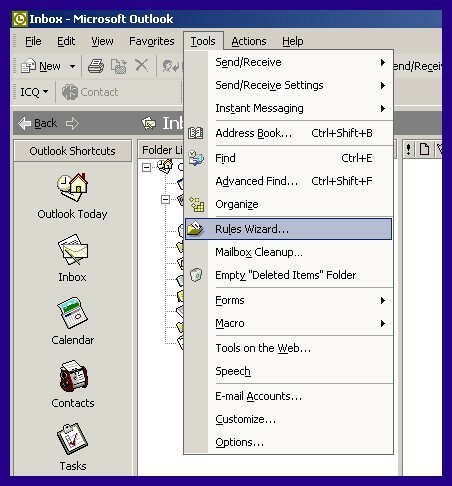 Step-by-step instructions for Eudora v5 and Outlook 2002 are shown below. Step 1 Pull down the TOOLS menu. Click the FILTERS option. Step 4 Click the 'X' in the top right corner of this window, and click YES to save changes. 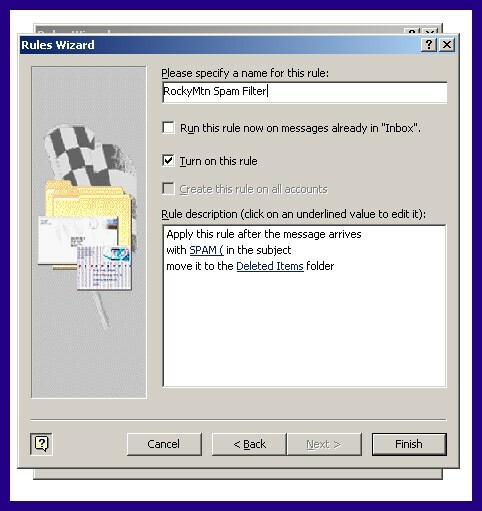 Step 1 Pull down TOOLS and click on RULES WIZARD. Step 2 Select MOVE MESSAGE BASED ON CONTENT and click NEXT. 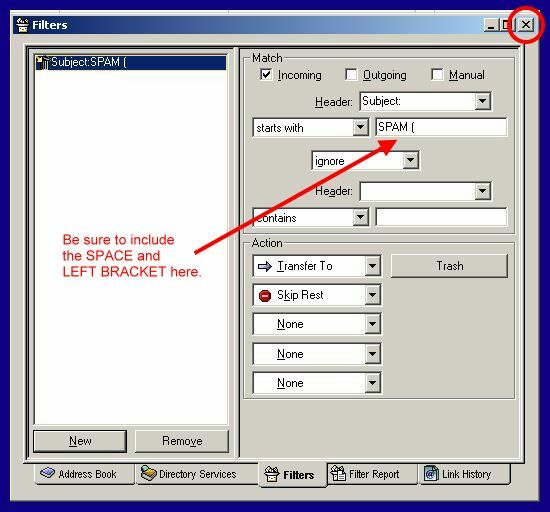 Step 3 Check the box entitled WITH SPECIFIC WORDS IN THE SUBJECT. Step 4 In the RULE DESCRIPTION box, click on the underlined words SPECIFIC WORDS. 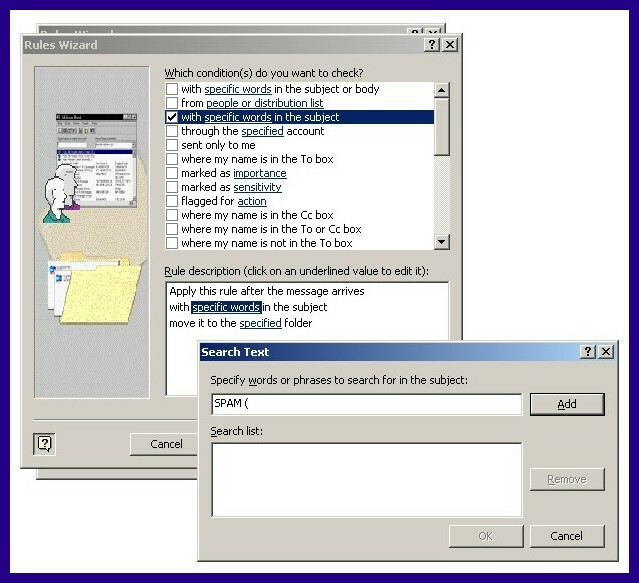 A dialog box titled SEARCH TEXT will pop up. Enter the text "SPAM (" in uppercase and without the quotes, of course. Step 5 In the RULE DESCRIPTION box, click on the underlined word SPECIFIED. 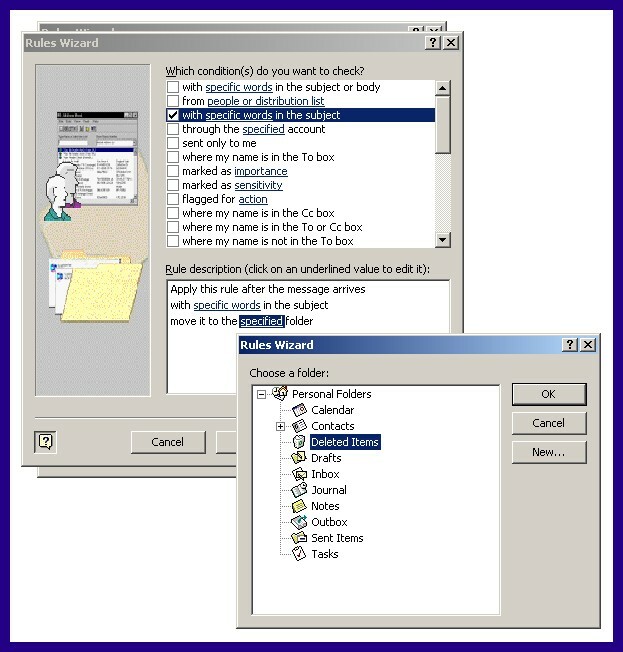 A dialog box titled CHOOSE A FOLDER will pop up. Choose the DELETED ITEMS folder or create a new folder to hold your suspected SPAM emails. 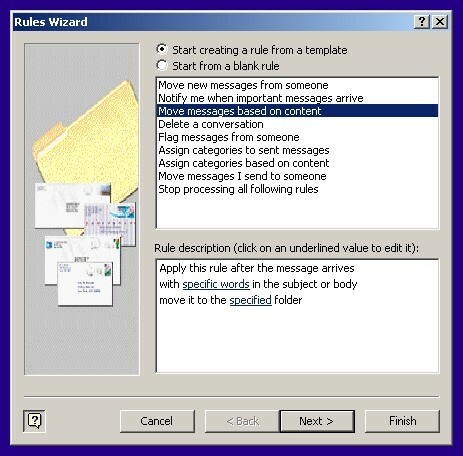 Step 7 Click the FINISH button to return to the RULES WIZARD screen, then press the OK button to exit.